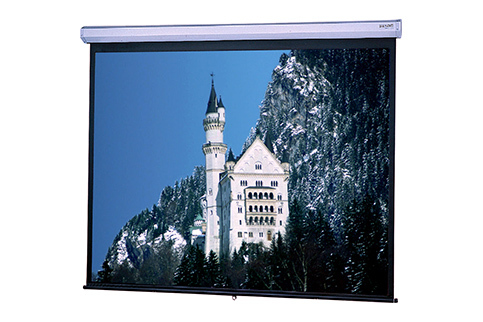 Ideal for large size conference or training rooms. Permanently lubricated steel ball bearings combined with nylon bushings and heavy-duty spring assembly offers smooth operation even in demanding applications. Glass Beaded, Video Spectra 1.5, High Contrast Matte White and Silver Matte fabric up to and including 8' high will be seamless. We have no downloads available for the Da-Lite Model C at this time.